After exhibiting recently in Amsterdam in July, The Date Farmers are bringing the heat from from Coachella to the Bay for their show at Fifty24SF on September 3rd. Here is a video teaser for their show “Strange Fruit” opening Thursday night with the artists in attendance. For over 10 years, the Mexican-American duo have brought their working class art to the masses infusing their work with their culture and traditions. We are looking forward to more of their popular paper mache sculptures and paintings on found objects. Discuss The Date Farmers here. Categories: Art, Contemporary Art, Shows & Events, Teasers, Videos. 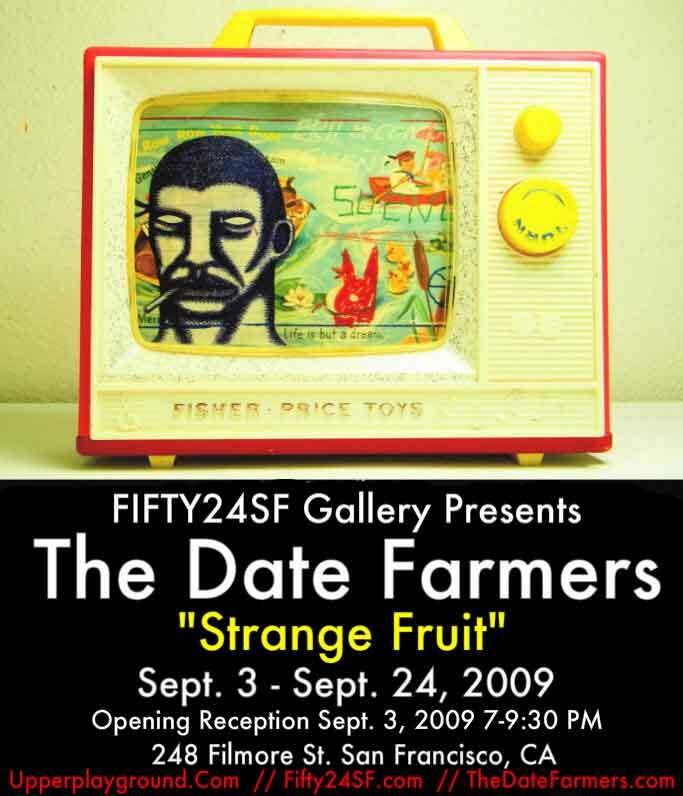 Tags: Contemporary Art, Date Farmers - SF 09, Shows & Events, The Date Farmers, Videos.